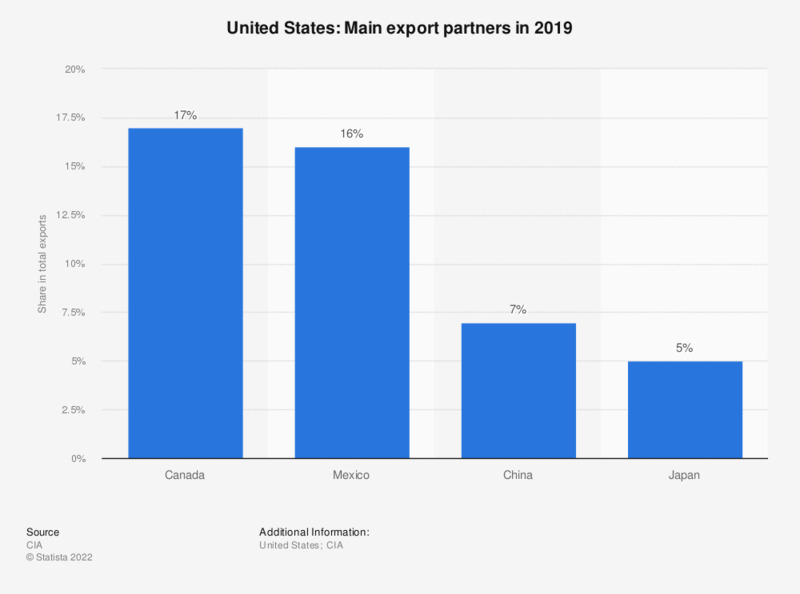 The statistic shows the main export partners for the United States in 2017. In 2017, the most important export partner for the United States was Canada, accounting for 18.3 percent of all exports. Everything On "U.S. export" in One Document: Edited and Divided into Handy Chapters. Including Detailed References. Which of the following countries are important export partners for fashion? Which of the following countries will be important export partners for fashion in the next 5 to 10 years?